We all know that being a farmer these days isn’t just about growing things; you have to have prowess in every area of business management from financial forecasting to marketing, as well as continually evolving your professional development to become a jack-of-all-trades around the farm, proficient in skills such as mechanics, fence building and a wide range of veterinary care. Rarely do people enter into a profession where such a diverse skill set is essential! It’s easy to become glib about things you consider “non-essential” to the workings of the farm. Your social media game may seem like one of those bottom-of-the-list tasks, but I beg to differ. This is how your customers and advocates are communicating; they seek education and growth, and make lifestyle choices through what they find on Facebook, Instagram, Twitter, Snapchat and the myriad of other platforms out there. Engaging this audience is not just good marketing for your product but essential for farm education and information sharing. As farmers, we are not used to defending our livelihood, but in a time where everyone is an internet-educated expert it’s essential that we answer questions and challenge some of the mistruths. 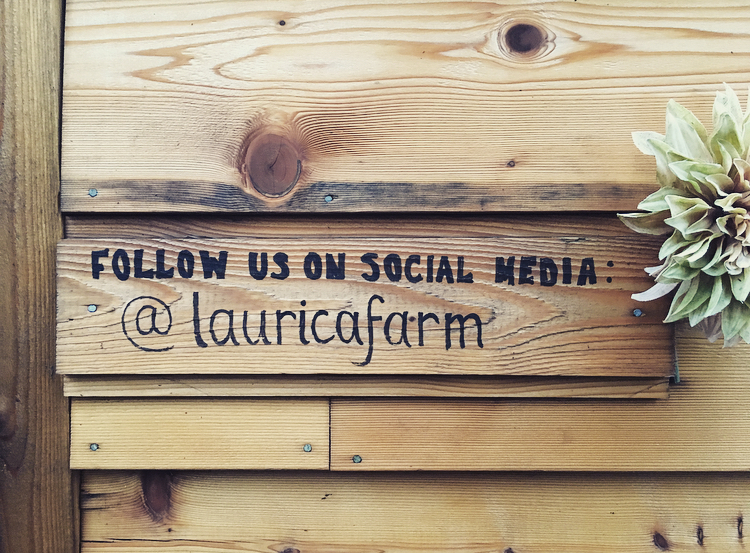 At the risk of sounding arrogant, our social media game at Laurica Farm is pretty good. We’ve built our business in a relatively short space of time through our social media, and we’ve learned a lot along the way. Recently, a couple of things occurred to me. Firstly, social media is responsible for approximately 75% of our business and I can use data to know who those customers are—that’s an extremely valuable tool. Secondly, our approach to our social media has built a fiercely loyal following of people. Separate the personal from the professional: Keep your business page for just that—business. Don’t use it as a platform for promoting or sharing personal beliefs or agendas. People follow farms because they want farm content, not your political views or your selfies. You can pepper your social media with issues that are important to you if it’s relevant to farming. For example, you might want to share something about ALR being rezoned, but put it in a context of how it affects you or local farms and use a balanced and objective voice. Monitor your content: I don’t record specific data about what I’m posting, but in my head I know that people mainly want “farm fluff”: photos of the cute animals or vibrant-looking vegetables, maybe even some seasonal recipes. Don’t overlook the value of these posts. I limit sales and promotional posts to once a week maximum and any other farming politics to maybe 7-8 times a year. Keep it clear and keep it simple: Open any written update with something clear and concise that will draw the reader in. You can go into detail but the first sentence should deliver the key message. Visuals, photos & graphics: Always post a photo or a link (but not a blurry photo or uncropped screenshot). Our posts with the least engagement are the ones with just written words. Take the time to learn the basics. You must also be aware of copyright. There are lots of free stock photos you can use but educate yourself on the process. Here are some suggestions for royalty-free image sites: Gratisography, IM Free, Pixabay, PicJumbo, Unsplash. Stay humble. People don’t want to be faced with what a superior life you have and hear about how well-nourished your family are constantly. You can and should let your audience get to know you a little, a touch of the personal is definitely beneficial, but have a laugh at yourself. Make yourself relatable. Understand your hashtags or don’t use them. Hashtags can be a brilliant way to find like-minded people and target a specific audience. Start by understanding the process; a hashtag links you into a conversation. For example, here in Langley, the hashtag #langleyfresh is used to promote all the great things about the area. When you click on that tag, you will see everything anyone has posted with that hashtag. Find out your hometown’s hashtag and use it. And it’s not specific to areas; perhaps you are interested in engaging people with shared values, in which case you might use something like #permaculturefarm or #organicfood. Do some research by seeing what hashtags other people are using and what content those hashtags bring up. Don’t make up your own unless you’re going to stick with it and make it part of your branding #itsreallyannoyingandhardtodeciferifyoudothat. You can learn more on websites like Hootsuite. You don’t have to do it all; you just have to do it well. 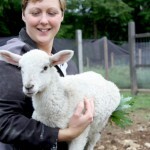 Laurica Farm just uses Instagram and Facebook. I’ve dabbled with other platforms but it’s hard to manage all of them. You can get programs that will cross-post to multiple platforms—personally, I don’t use them. As a social media user, I don’t like seeing repeated content on multiple platforms, so that’s not how I operate the business accounts. Re-read what you have written before you post. If spelling and grammar aren’t your strength then ask for help. It may be that finding someone to manage your social media for you is the best thing to do. It doesn’t necessarily have to be a paid expert but a family member, friend or even farm customer might enjoy taking on the task for you. When people visit your farm or buy your produce, encourage them to tag you—that’s a portion of your marketing done for you! Set your boundaries. One time I was delivering to a new customer that I had never met. She asked about my kids by name, invited me in and said that she had some of the beer I liked. It made me realize that I was sharing too much! You can be transparent, without oversharing. Don’t hate the haters. Being a farm that raises animals for meat, we often get targeted by an activist or a group. I have tried to handle this many different ways. I’ve tried to educate, engage, defend, and argue, but only one approach works—block them. Don’t engage, and ban them from your page as soon as possible. These righteous bullies hunt in packs and if you upset one, you will be bombarded until it becomes unmanageable. You can leave their comments if you like—this tends to gain a momentum of support from your loyal followers. Your followers attacking your haters is also bad news. If they write a bad review on Facebook based on their ethics and morals rather than your business, you can request that Facebook remove the review. Personally, I don’t do that as it’s part of the education process, but it’s entirely up to you. Approach your social media with some caution, but enjoy it. It’s a fantastic and valuable way of engaging people and showcasing what an important job we all do. It can aid in better understanding, and you are in control of the messages—a rare opportunity these days. 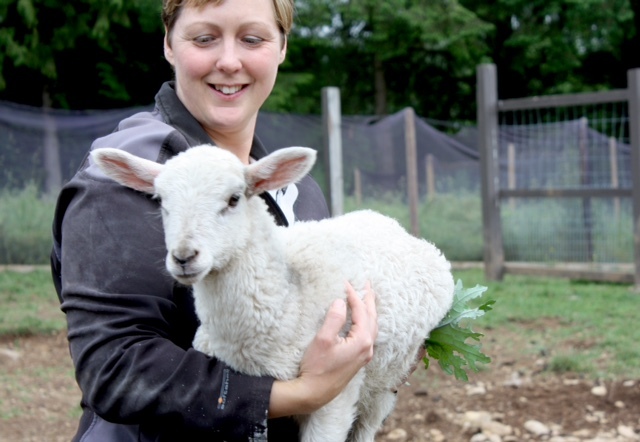 Cathy Finley traded a career in social work for life on the farm. She and her husband Ian moved from a Surrey subdivision to a five-acre plot in Langley, where they restored the land using sustainable and permaculture practices. They began selling their salad greens and eggs to former Surrey neighbours and soon were making regular deliveries to 20 families. 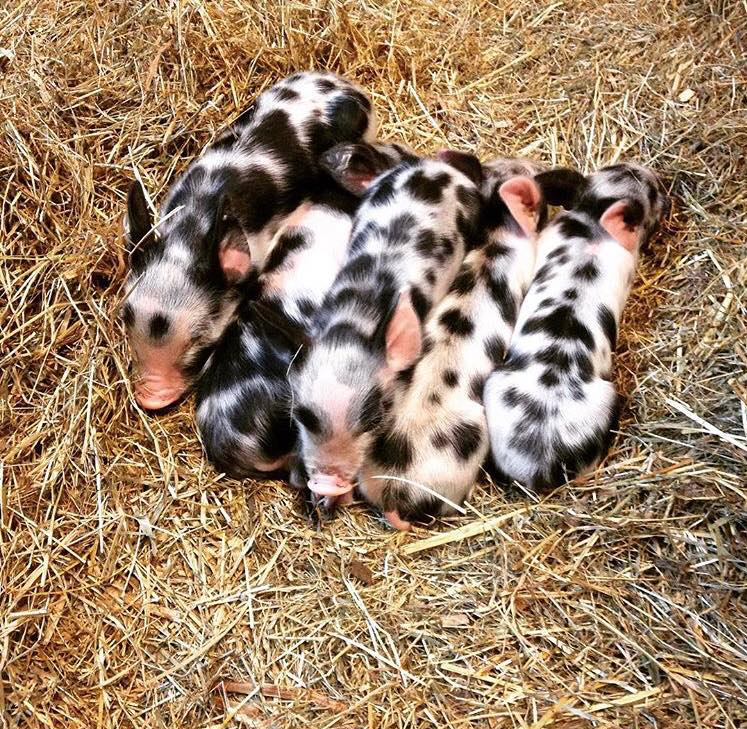 They now grow a variety of fruits and vegetables, raise heritage breeds of livestock, attend farmers markets, open their farm to weekend markets during the growing season, offer workshops and learning opportunities, and host events such as Farm Folk/City Folk’s Feast of Fields.